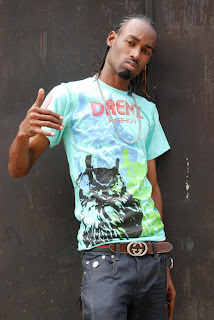 Spanish Town native and Nexxstep Network recording artiste Boom Steppa, after scoring is first No.1 for the year with 'Naaw Stay Poor' recently inked an international distribtion deal with Global Music Liscening (GML). The deal will see his hit single being added to several popular music networks globally and also made available for purchase on various digital platforms including; iTunes, Amazon and Play.com in the coming weeks. The move come as another major milestone for the career-driven Steppa, whose single clinched the top spot on the RETV MVP Top 20 Countdown a few weeks ago and continues to gain momentum throughout the Caribeean and North America.The artiste born Fabian Wilson now working on his follow up single recently participated in the second leg of the OAasis International Music Workshop in Port Royal, Kingston. The workshop also featured fellow entertainers, Keida, Conflict and verteran crooner Admiral Tibet. The three-days workshop aims at sensitizing students to the arts and working collectively as a unit. While volunteers and presenters render assistance in allow the students to brainstorm various ideas and projects to help their community, make them awareness of their talents, skills and strengths that lie within. It also serves to whet the appetite for learning in areas that are constantly plaugued with low CXC and GSAT passes.